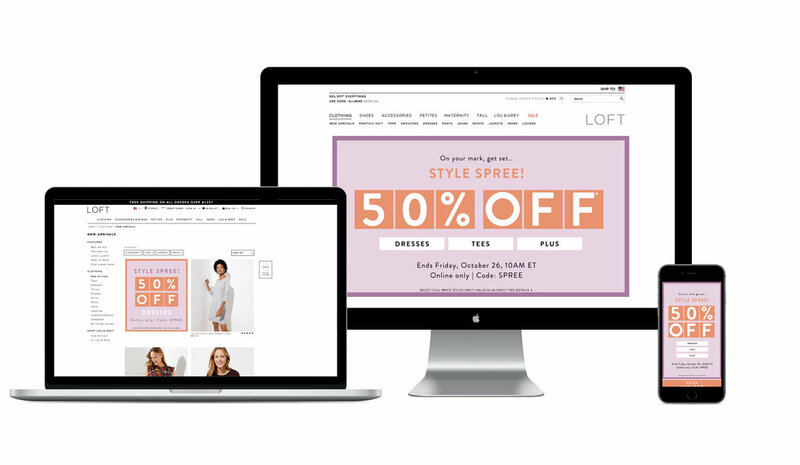 Working at LOFT, I am responsible for creating compelling email and site campaigns through excellent use of typography, color, and photography. 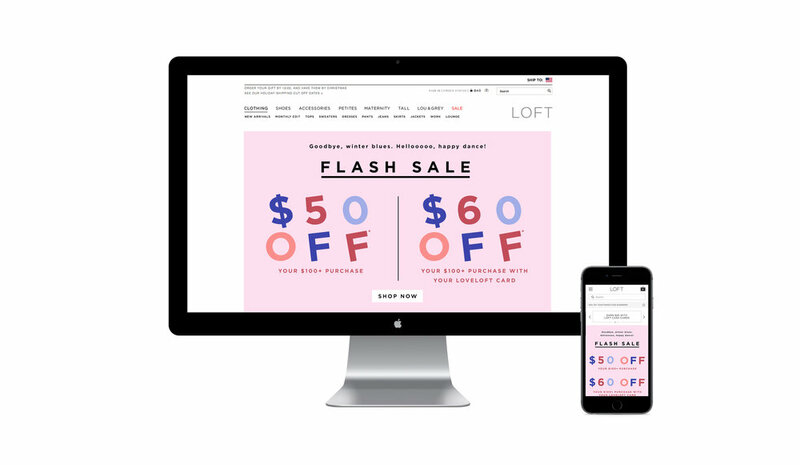 Below are some examples of my creations for LOFT.com and LOFT emails. I designed the microsite for LOFT’s microsite for International Women’s day.